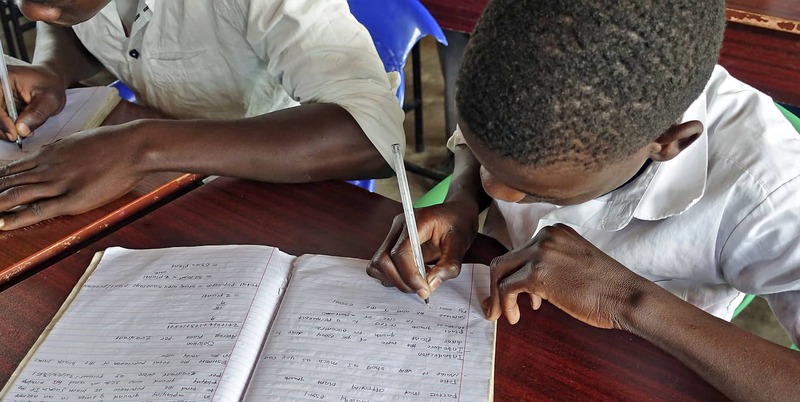 Following a 2013 large-scale survey of the educational needs of Northern Malawi, it was found that the largest barrier to educational success in the area was a lack of infrastructure and access to school facilities. It was based on these findings that we, in partnership with the University of Dayton, commissioned a new boarding school for boys, which established a national reach within its first year of operation, welcoming a class of 75 students. Wasambo High School accepts students entering Form 1 (high school first years) in the effort to provide them with a quality education throughout the entirely of their secondary schooling. Wasambo High School’s mission: “To deliver the highest quality education at an international standard but accessible to all, where students can thrive while reaching their fullest potential” is made possible by its committed international faculty and sound infrastructure. As a boarding school, Wasambo High School provides students with a supportive and structured living environment, allowing them to fully focus on their education. The Wasambo High School campus, located a short distance from the D2D office, has continued to be developed since the school’s inception in an effort to accommodate a growing number of students. Wasambo High School is run through the Wasambo Education Foundation, a not-for-profit entity which governs the school with a Malawian Board of Governors. All funds provided for the high school, whether from school fees or donations, go into the system of the school for operations and development. Funds are also used for scholarships to students from the Wasambo area who show strong academics and leadership skills but lack financial support. To more fully realize gender equity in education, we plan to commission a separate girls boarding school in the coming years, pending financial backing. Technical education is an affordable and marketable alternative to university education. Presently, no technical education facility exists in the Chilumba catchment region, serving as a barrier to pursuing technical education for prospective students in the area. Of the 50 youth interviewed in a large-scale technical education needs survey, 100% expressed interest in attending technical college if one were built in the area. Based on community interest and broader data supporting the value of technical education, we are pursuing the establishment of a technical college in the Chilumba catchment region, pending financial backing.